Did your boy get holes in his jeans – again?! 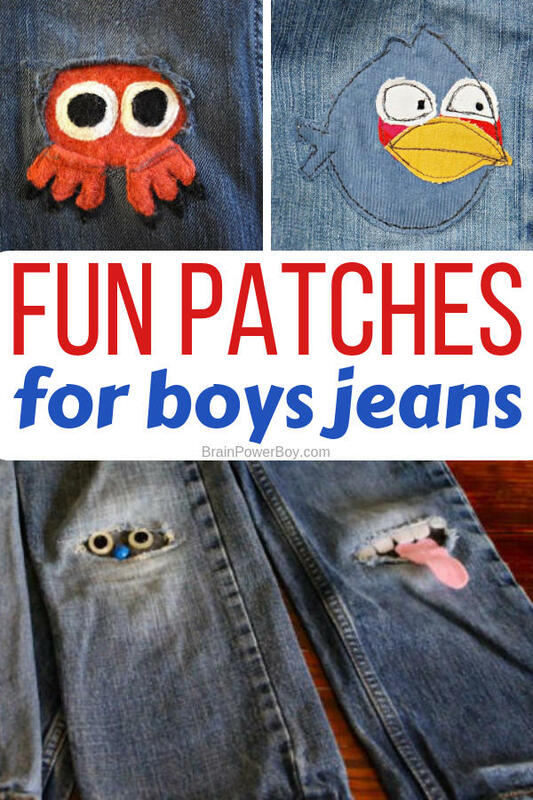 If so, you need to make some of these cool patches for boys jeans! 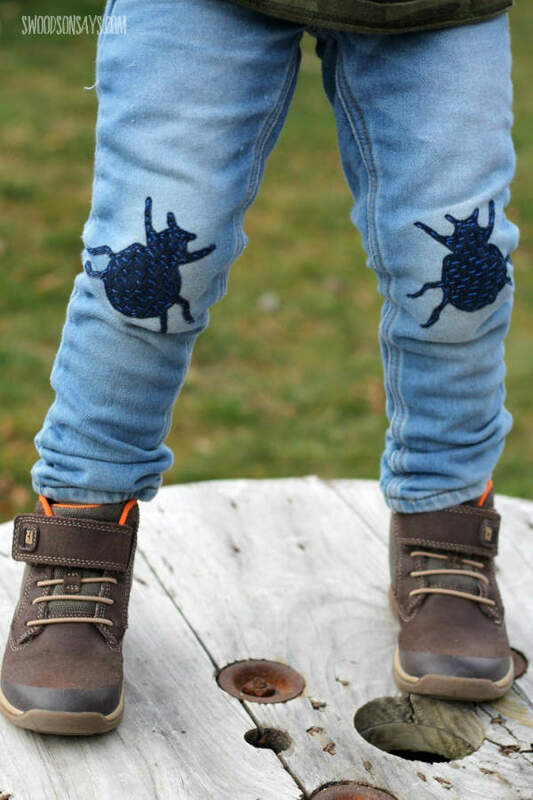 You can fix the holes in their pants in a fun way they will love. 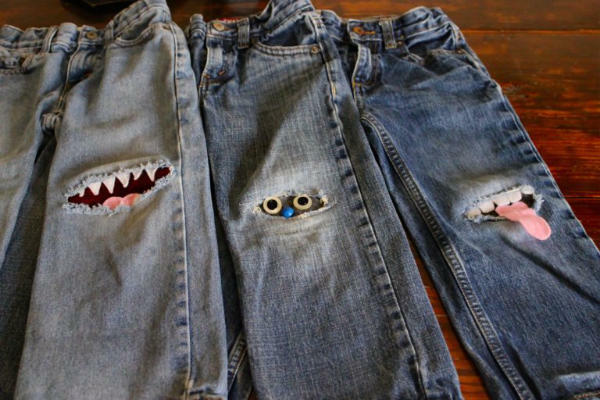 I know a lot of you suffer from a pile of jeans that need mending because there are holes in the knees. Not a fun task. 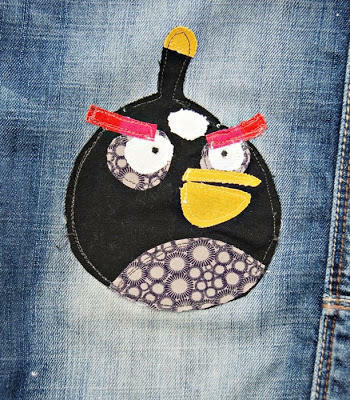 You need patches so cool and fun that he will actually want you to patch his jeans! We found ideas that are sure to be a hit. 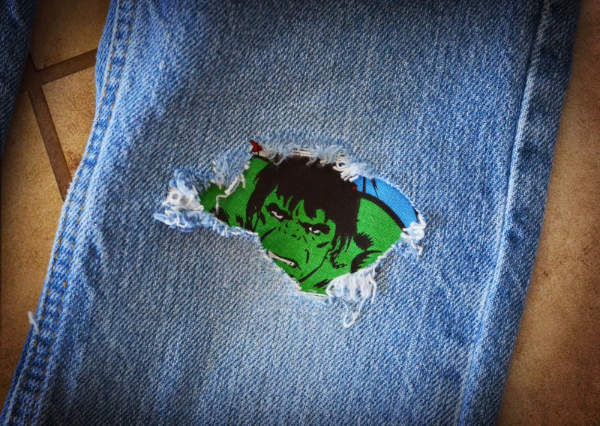 You can fix all those holes with these jean patches that are pretty easy to make and look great. Note that some of these do not have directions. They presented the idea, and showed what they made, but didn’t leave the reader with step-by-step directions to follow. For those who sew, that isn’t really a problem. 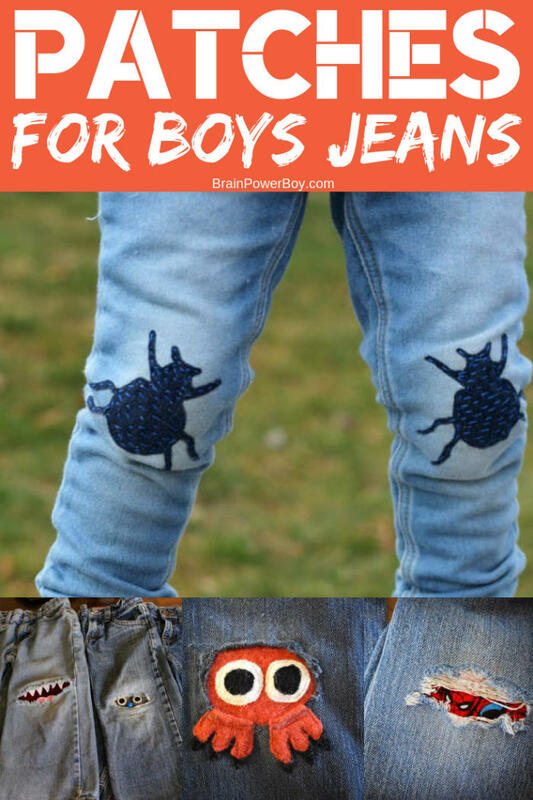 For those who are just starting out it might be a bit harder but with a bit of effort I am sure you can use these ideas to make something your boy will really like. 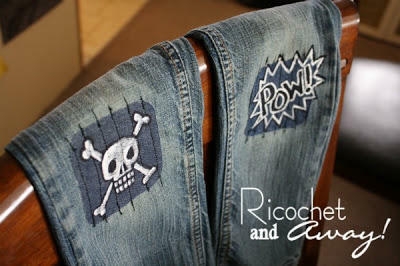 Let’s take a look at all of the cool DIY jean patches I found. 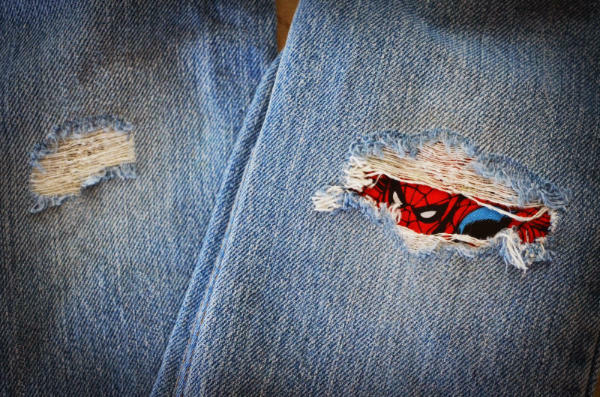 I can tell you right now that the next time I need to mend holes in the knees of jeans, I am going to do something like this. Wow – right?! These are so perfect for boys. She uses superhero fabric and also puts a sturdy patch behind it to make them sure to stand up to rough treatment. This is actually a version of DIY iron-on patches. 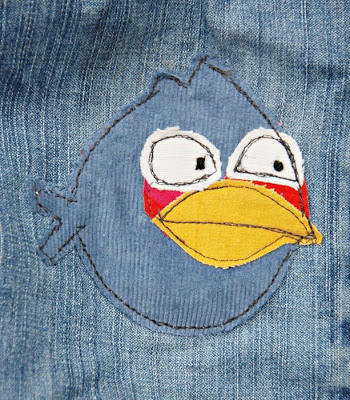 There are no directions, but if you take a look at the image you can see that she likely used the backside of some denim as well as the front and crafted a patch out of those. These are really well done! The first is Angry Birds bomb bird and I think the next one is Angry Birds Blue. 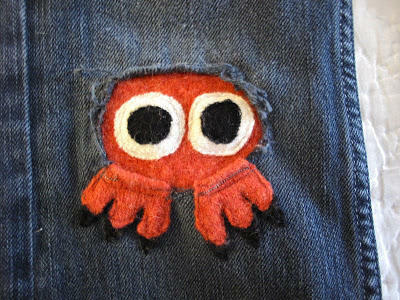 What is this cute orange creature that has been used to mend these jeans? I think it looks like an orange octopus but my friends thought it might be an alien or a little monster? Who knows? I guess it really doesn’t matter because it is a super cute way to patch holes. That is for sure. If you are not familiar with shashiko let me give a brief description. It is decorative reinforced stitching and originated in Japan. The word means little stabs. 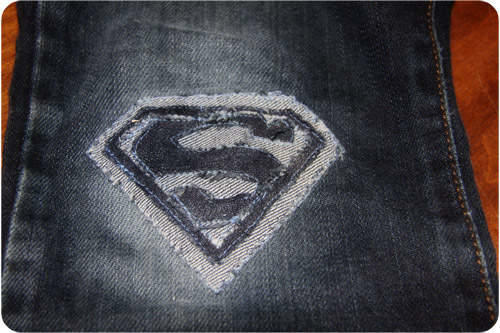 The stitches are usually white and are often on blue fabric. So, that certainly fits when fixing jeans. If you have a nature boy, these are simply perfect. The beetles are great looking that is for sure. 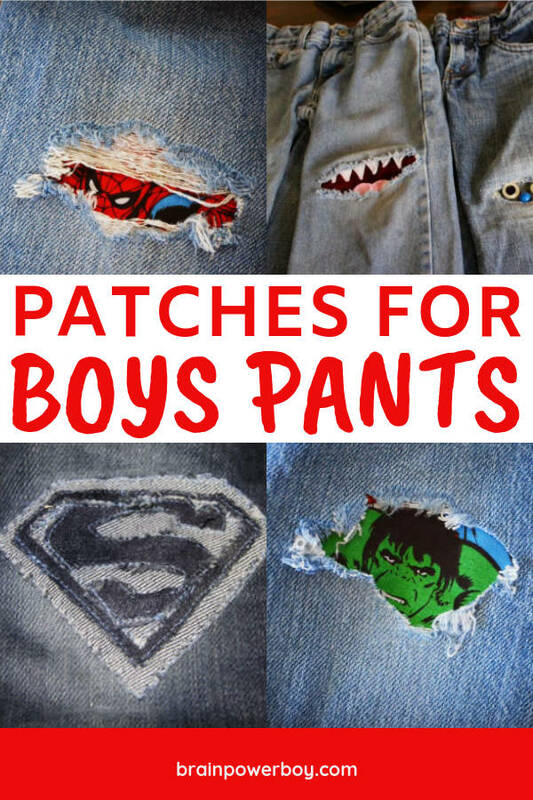 You can’t really have a post about knee patches for boys jeans without including the monster patch. These are super popular on Pinterest. I picked this trio because they were a bit unusual and offered you three different styles to choose from. I think these are great for older boys though I am sure boys of any age would enjoy them. My favorite one is the skull. If you look closely you can see that she actually ran several rows of stitching down the patch. It is a nifty way to reinforce with stitching and it looks pretty great too. The pictures are drawn and painted. She has some instructions on her site. As you can see patched jeans don’t have to look goofy or embarrassing. They can be anything your boy can imagine them to be as long as you can sew them!